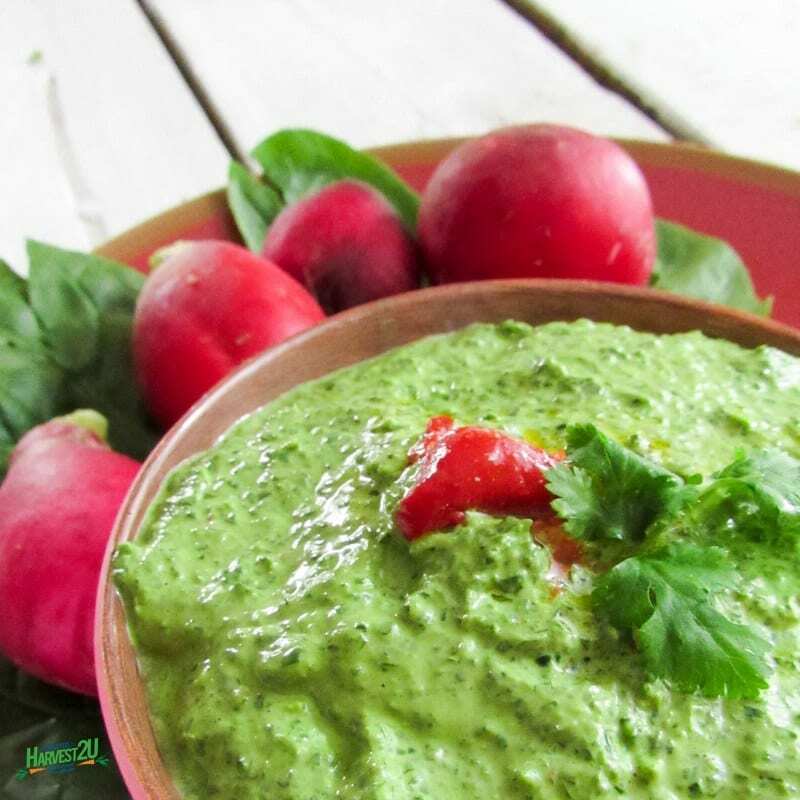 This Creamy Chipotle Spinach Dip is a healthier and more flavorful dip than that boring frozen spinach, sour cream, packaged mix concoction. We start with fresh raw spinach. Dark greens, such as spinach, are rich in vitamins A, C, E and K and are high in carotenoids – antioxidants that help block the early stages of cancer. Plus, they are loaded with fiber, iron, magnesium, potassium, and calcium. The sour cream gets swapped for healthy probiotic loaded yogurt. And then we add loads of flavor with the cilantro, chipotle and cumin. The result is flavorful with a kick. It isn’t overly spicy, add some cayenne pepper if you want it hotter. In a food processor, pulse garlic and onions until chopped. Add spinach leaves and pulse until chopped.